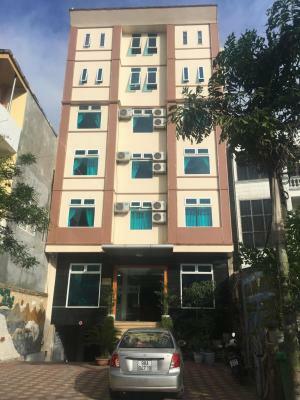 Offering free WiFi, Khách sạn Hoa Đô is located in Lạng Sơn. All rooms feature a flat-screen TV with cable channels and a private bathroom. Guests can use a garden. At the hotel, every room has a desk. Khách sạn Hoa Đô provides some accommodations with garden views, and the rooms come with a electric tea pot. At the accommodation every room includes a seating area. Speaking English and Vietnamese, staff will be happy to provide guests with practical information on the area at the 24-hour front desk. When would you like to stay at Khách sạn Hoa Đô? House Rules Khách sạn Hoa Đô takes special requests – add in the next step! We need at least 5 reviews before we can calculate a review score. If you book and review your stay, you can help Khách sạn Hoa Đô meet this goal.